The skin on your feet is tough, but dry weather, frequent exposure to water and sandals can make the skin dry and flaky. Instead of hiding your feet under socks, pamper them with a homemade foot mask. Mix hydrating ingredients and allow them to penetrate the skin to add moisture and leave your feet feeling soft and smooth. 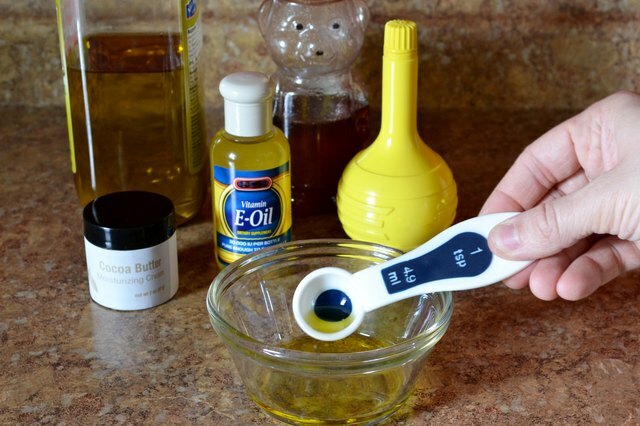 Pour 4 teaspoons of oil into a bowl. Good options for oils include almond, sesame, coconut or olive oil. Add 2 teaspoons of cocoa butter, 1 teaspoon of lemon juice, 2 tablespoons of honey and the contents of 4 vitamin E capsules. Mix the ingredients well with a spoon. Soak your feet for 20 minutes in a basin or tub with warm water. Pat your feet dry with a towel. Massage the mixture into each foot. Put on a pair of cotton socks and go to bed for the night. Take off the socks the following morning, then rinse your feet with warm water to remove the foot mask. 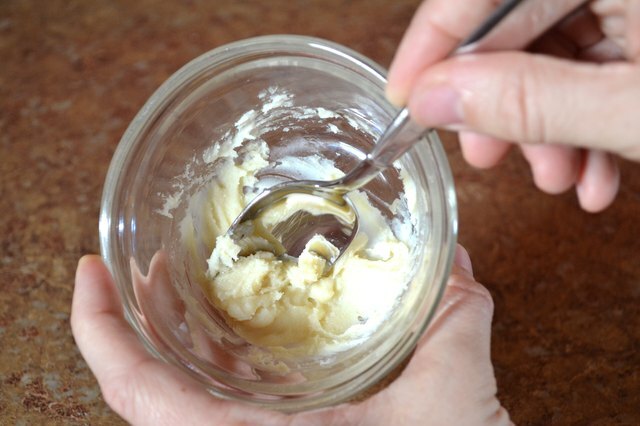 Make a one-ingredient foot mask by slathering petroleum jelly, honey or olive oil onto your feet. Put on a pair of cotton socks and go to bed for the night. Rinse your feet with warm water the next day. Use a foot mask every night if your feet are dry and cracked. Continue to use the foot mask until they are healed.